Friday, April 27 is the 7th annual PSCA Art Auction! We will feature sculptures, prints, jewelry, photography and paintings from more than 30 incredible South Philly artists and local students. 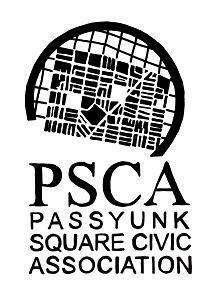 Proceeds support the PSCA and our local elementary schools. Complimentary snacks and drinks will be included in ticket price. 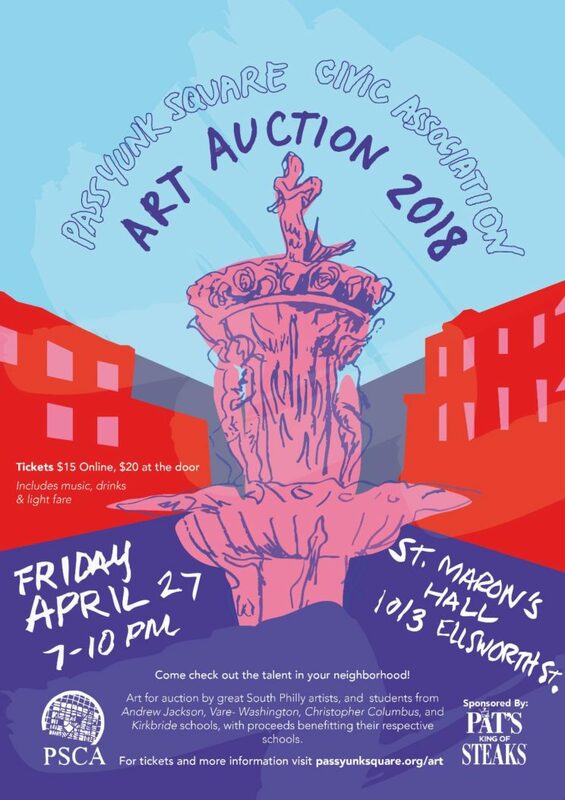 In addition to the auction, there will be music, artwork for sale and raffles for local gift certificates, and many more items! Tickets for the event can be purchased for $15 online (+ $1.50 processing fee) or at the door the day of the event for $20 (cash only). The proceeds from Andrew Jackson, Kirkbride and Vare-Washington student artwork will benefit the respective schools. Thank you to our sponsor – Pat’s Steaks! There are 829 posts and 12 comments so far. Need a file of our logo? Click here.